Canon, what happened to innovation? You and I have had a very, very long friendship which has lasted many years and many, many generations of cameras. Ever since my first camera purchase, you have been my brand of choice. I still have my original Canon IXUS 40 and multiple generations of full frame and APS-C SLRs going back as far as the 450D, which was released in March 2008. I own more Canon lenses than I know what to do with, including many L series lenses which I firmly believe are the best lenses on the market. I have recommended your cameras and other equipment to anyone who will listen to me. I challenge you to find anyone who has been more passionate about using and promoting your products in the general photography community than I am. 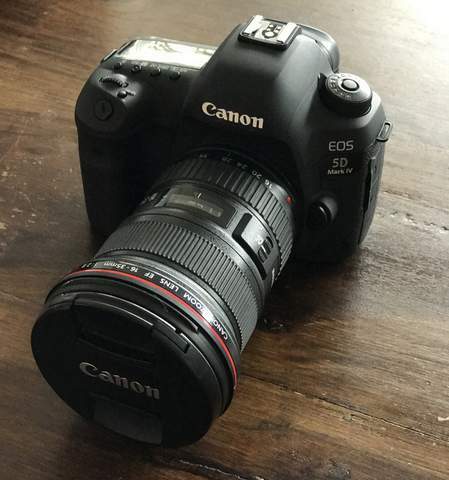 But here is where things start to get a bit complicated – since the launch of the Canon 5D Mk II, way back in March 2008, it has been extremely hard to be genuinely excited about any new cameras you have released. Here is why – the Canon 5D Mk II is in my opinion the last truly ‘innovative’ camera you have developed and released. The Mk II saw professional video features introduced into a full frame SLR camera for the first time. This was a game changer for many professionals in both the photography and video community, as it pushed people toward the SLR form factor in both fields, as well as allowing a crossover without the need for the bulky and, at the time, extremely expensive video equipment. Tasmanian photographer Jason Futrill, who wrote this article, has been a long time Canon shooter, but has been uninspired by recent releases. Photo: Jason Futril/Project Rawcast. Since then the models of cameras you have released have been very solid and perform well. But with each generational update has also come a substantial price rise, for not much in the way of new technology or innovative features. The 5Ds and 5Ds R were the first all purpose (not taking into account the 1D series or competitors equivalents) SLR cameras on the market to be priced over $5000. For the $5000+ investment per camera, I again got a solid performing camera with a 50-megapixel sensor. But – and here is a very big ‘but’ – the $5000 camera felt exactly the same as the 5D Mk III I had already been using for three and a half years. The dynamic range in my opinion is nowhere near as good as the Mk III, which in turn does not match competitors like the Sony A7r II or Nikon D810 (or the new D850). I basically paid $100 per megapixel of resolution, in a camera that in many ways performs worse than the 5D Mk III, which cost $3500. And the body of the camera is completely indistinguishable, besides the badges from that older the Mk III. Nothing about the 5Ds / 5Ds R made me feel like I was holding $5000+ worth of camera. So let’s get onto very latest releases in the Mk IV and the 6D Mk II. The Mk IV is a great camera, but it again looks and feels exactly the same as the previous generation 5D range of cameras, just with the addition of a touch screen. 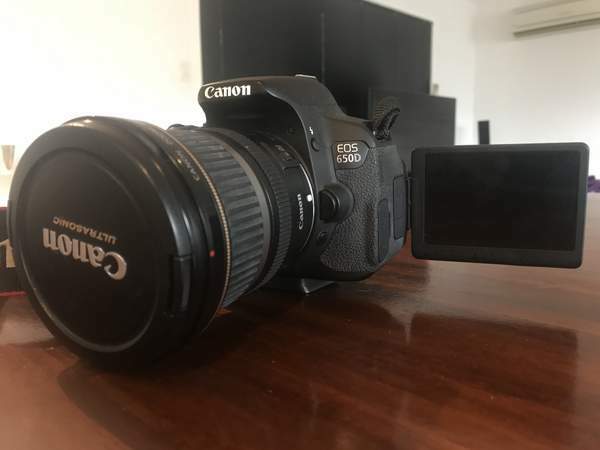 The consumer level Canon 650D APS-C camera, released in June 2012, had a touch screen on it and just about all of the major competing brands have had this ‘feature’ in their top level cameras for many years. We can’t exactly call the touch screen feature innovative. The low light performance and dynamic range is definitely a step up from the previous model 5D Mk III, but when you consider the price increase to $5000 retail, as compared to the $3500 retail when the Mk III launched, it would want to perform better! I still struggle to understand the price increase in a camera that is essentially a generational replacement. It seems like what has happened was you realised you could hit this price point with the 5Ds and 5Ds R, and just bumped the price of the Mk IV up to match. The 6D Mk II, sadly, has been met with many bad reviews – especially when it comes to ISO performance and dynamic range. 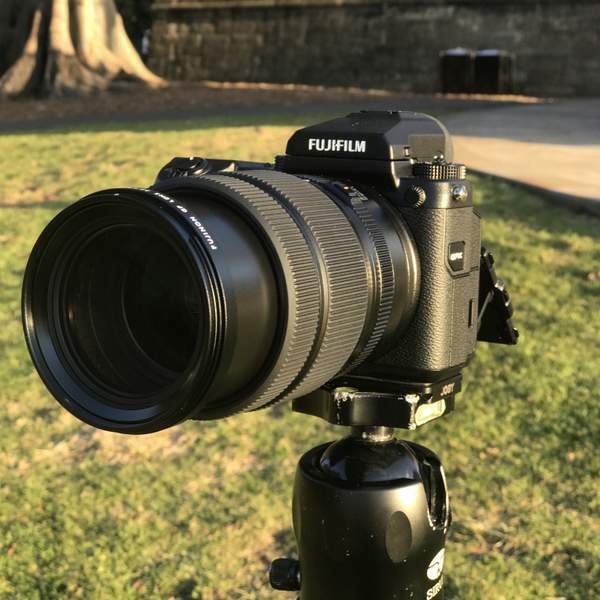 The previous generation 6D in many ways performs far better, and at launch was also priced anywhere from $800 – $1000 cheaper. If that price increase wasn’t there, it would be much easier to recommend the 6D Mk II to anyone looking to step into the full frame market. Because of the price and performance, it is very hard to recommend it. And that makes me quite sad to say. 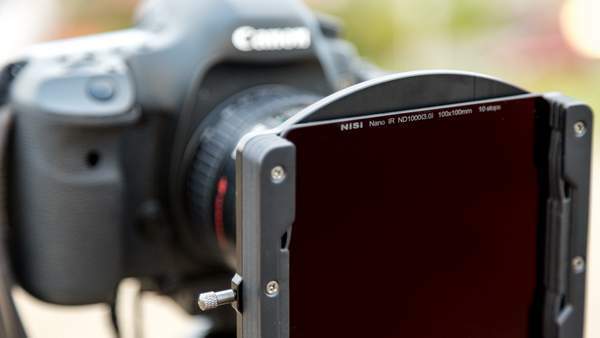 Touchscreens in the current generation Canon models cannot really be called ‘innovative’. I purchased the Canon 650D in 2012, and it was the first SLR camera I had used with a touchscreen. I used it for about a month before upgrading to a full frame 5D Mk III. You have been lacking innovation now for many years while all of your major competitors, including Nikon, have been introducing new features in camera bodies wrapped around incredible quality sensors. The recent hype with the release of the Nikon D850 is something I wish I had felt as a Canon user over the past few years. I am genuinely jealous of the feeling many Nikon users are feeling right now. The release of the D850 feels like a ‘niche focussed’ Apple product launch that has many, many people talking in a positive way about their brand again. The Sony A9 is a camera that has essentially changed the game for many professional photographers. And the Sony A7R II, which was released over two years ago, is still the leading camera for image quality within the professional landscape photography industry. So far you have refused to enter the full frame mirrorless market, and while I understand it is hard to compromise when you have the lions share of the lens market, this is costing you in terms of overall market share as Sony and Fuji continue their upward growth. Surely there is a solution to getting your L series lenses natively onto an in-house built, mirrorless full frame camera? And while we are talking about Fuji – here is a brand that continues to innovate at a speed comparable to Sony. Don’t get me started on their new GFX50s. I could talk about that camera all day. For anyone who has the $12000 to spend on a camera body and a single lens, this is the camera I am currently recommending to people. This is the closest thing you will get to ‘medium format performance’ for the money. I highly recommend every photographer try this camera out to understand what the future of digital photography performance is. The Fuji GFX50s is a camera that every photographer should try at least once. The performance and image quality just need to be seen to be believed. This is true innovation by a camera brand. The firmware releases Fuji deliver to their users keep their cameras feeling like new products for a very long time after purchase. If only you had noticed what Magic Lantern does for many users of Canon cameras. If you had, you would realise that there is no excuse for not unlocking features like RAW video, intervalometer (only now just become part of the factory firmware), focus peaking, zebra overlays etc etc. I don’t get why those features are not part of the factory firmware when the team at Magic Lantern have proven your cameras are capable of these features. Magic Lantern brings the features more in line with what Sony and Fuji are offering in the mirrorless cameras, but without the jump in dynamic range and sensor performance. All of the other branded cameras I have mentioned use Sony sensors. Why has Sony jumped so far ahead in performance both in image quality and dynamic range? Because it was a strategy they introduced into their business model when they restructured the business and refocused their priorities a few years ago. And it has worked. Their sensors are the best in the camera industry now. Period. Magic Lantern unlocks many features of Canon cameras that I feel should be available within the factory firmware. You don’t need to permanently modify your camera to use it either – the firmware is copied onto the SD card and easily loaded when switching the camera on. Based on past experience, your product cycles generally last for three and a half to four years. So by my estimates, the 5D Mk IV has at least three more years to go in its cycle before it is replaced. It is the current, flagship all purpose SLR. And it is already starting to look dated when compared to what the competition are doing. It doesn’t match the Sony A7RII in dynamic range. The Nikon D850 by all accounts is going to be a huge success and an incredible camera. And we still have what is rumoured as a A7r III or equivalent to hit the market sometime within the next year or so. If Sony continues on the path they are on with this camera, those three years I am estimating in your product cycle are going to be three very hard years. And what about that image resolution? I know that resolution is not everything, but 30-megapixels in the Mk IV compared to the 42-megapixels plus of the competition? Really? Surely you can do better than that. The Canon 5D Mk IV is a solid camera. I do though find it hard to justify recommending it based on the price and spec comparison to competitors. New models from Nikon, Fuji and the current Sony A7RII perform better as far as image quality goes. Yes there are other things to consider, but when it comes to innovation I can’t say it is the most innovative camera in the market. I know there have been rumours doing the rounds about a full frame mirrorless Canon camera hitting the market sometime in Q4 of 2018. That is still over one year away. That’s another full year before you potentially release your first generation of full frame mirrorless cameras while the competition will be into the third or fourth generation. I am likening this to GoPro entering into the drone market when DJI have been innovating and had multiple generations of products out there in the marketplace. Let’s just hope by the time you do go mirrorless, it’s not too late. And let’s just hope we can’t draw any analogies similar to the GoPro Karma falling out of the sky when your mirrorless lineup does finally hit the shelves. I genuinely feel quite sad to be writing this to you. But it’s something I just needed to get off my chest. Canon as a brand has been a huge part of my photography journey – since the very first time I ever picked up a digital camera. And I truly hope you are part of that journey for many more years to come. There are many photographers in the industry who don’t have the brand loyalty and allegiance that I have – who jumped ship to brands like Sony quite some time ago. There are temptations out there like the Fuji GFX50s that are making many people dream of other camera brands. I don’t understand what happened to your product innovation. I don’t understand why, as the biggest camera brand in the industry, you aren’t making people feel excited about your latest products in the same way that Nikon, Sony and Fuji are. Please, please make the photography community feel excited about your future product launches. Make us feel proud to use your cameras for many more years to come. I want to stop looking at the competition with temptation, envy and jealousy. I know you can do it. Passionate Canon camera user & brand advocate. – Jason Futrill is a landscape and aerial photographer from Tasmania. This article was republished with permission, and originally appeared here. A beautifully stated opinion and I couldn’t agree more! I have owned Canons since 1976 when I purchased my very first Canon F-1 with an FD 50mm f1.4 Lens. From there I progressed onto the T90 cameras which in my opinion were true revolutionary and innovative game changers in camera design and functionality. I also own an EOS1v which is the last superb film camera Canon made. I began my digital journey with the D30, D60, followed by the EOS 1Ds Mk I, EOS 1Ds Mk II and the EOS 1Ds Mk III which I still use. Then I purchased the 5DSr and use currently. Having committed to a swag of lenses I too feel envious of other brands and how they are progressing. Canon produce more camera models than the Nissan or Toyota car companies produce. Look at what incredible specs the Nikon D850 possesses! I am still waiting for the new Messiah!